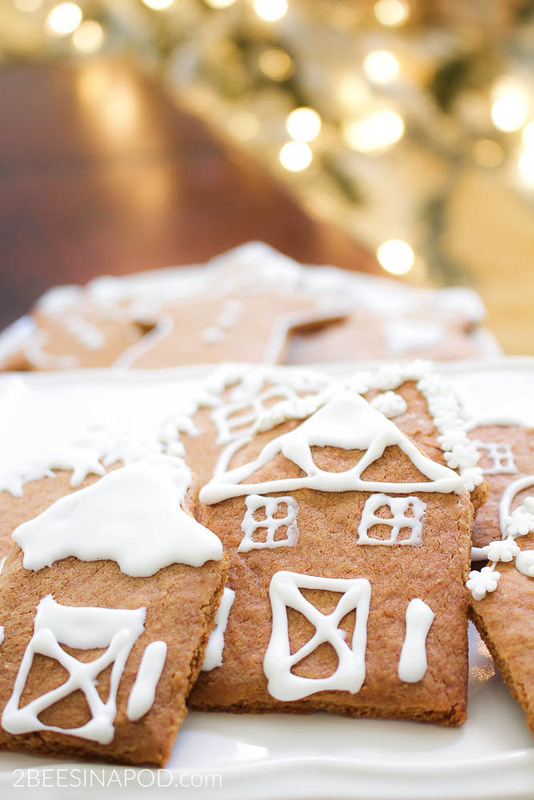 There’s nothing better than baking at Christmastime. 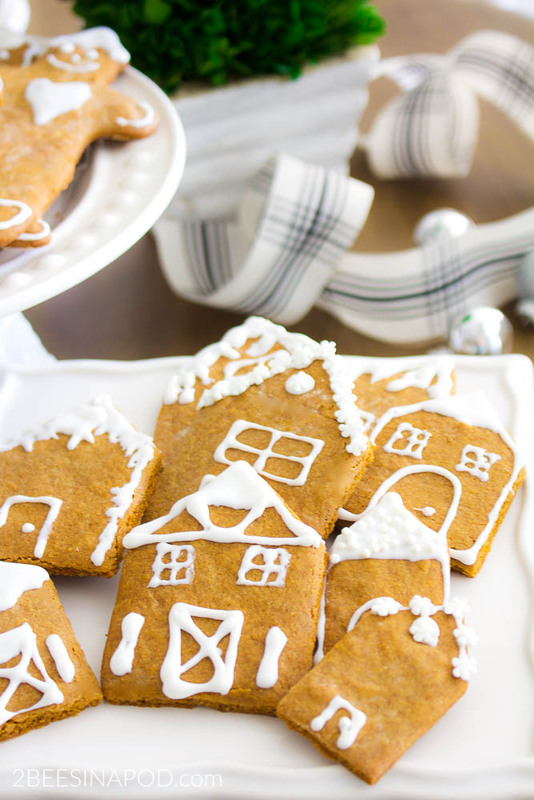 Especially these super easy gingerbread cookies! Christmas baking has begun in my house as I am sure it has in a lot of homes. Traditional recipes have been passed down through my family for generations. Each of us has a favorite and god forbid if that favorite doesn’t make an appearance at some point during the holidays. There is also bitter disappointment if the recipe doesn’t seem to turn out just right. You know what I mean? We have had tasting rounds at our house that go something like this. 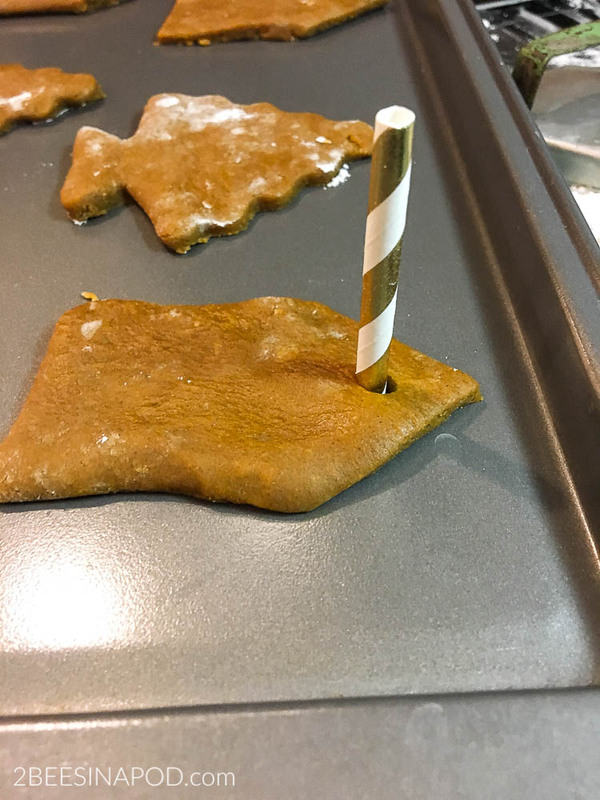 “Taste this snowball cookie…what is it missing?” “Try this pecan tassie…it doesn’t taste anything like mom’s” or “Oh good grief…what’s wrong with this peanut brittle?” Because of these examples is why I decided to bake super easy gingerbread cookies this year. 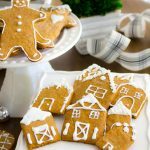 Please hold your judgement until the end of this post, because my fabulous super easy gingerbread cookies come from a mix! I promise after I explain myself, you will applaud my efforts LOL. But let’s start at the beginning. 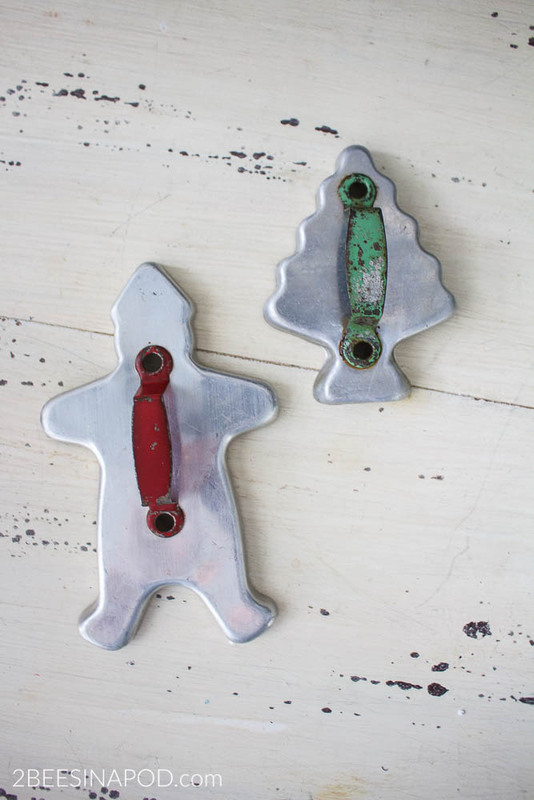 Way back in the summer I started collecting vintage Christmas cookie cutters. I already had an idea in mind for gift-giving. You will need to come back on Friday to see what I made. 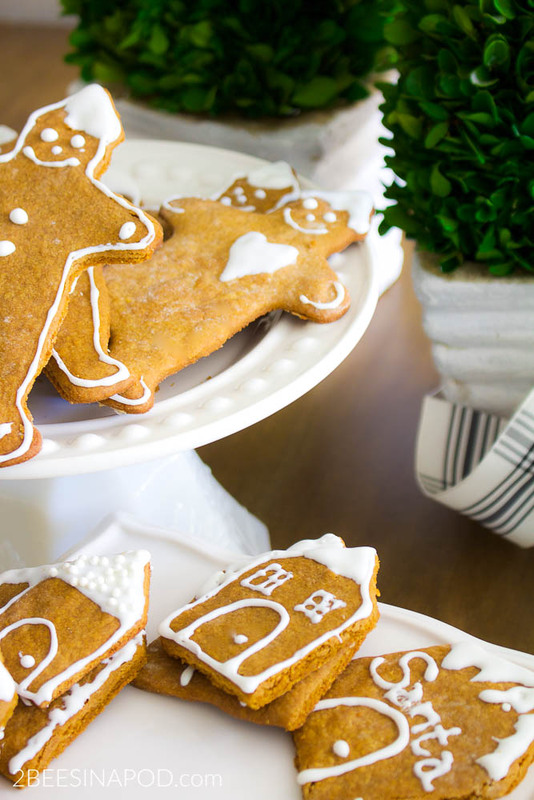 It’s pretty cute and pairs with these cookies – so you don’t want to miss it! Tip #1 Collect Christmas Cookie Cutters out of Season. Why collect them out of season? Typically they are much less expensive and in less demand. 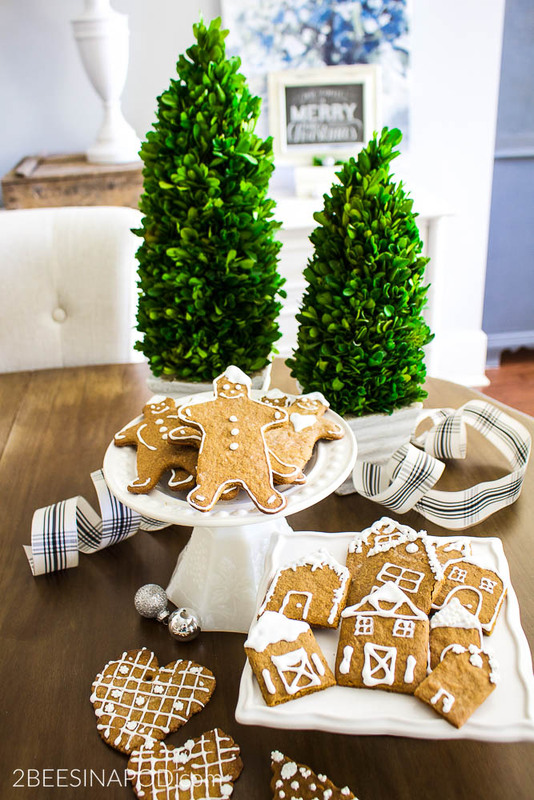 This adorable trio of cookie cutter houses are from the Hearth and Hand collection and only $2.99. Back to the cookies and why this $2.00 store bought mix is so great. 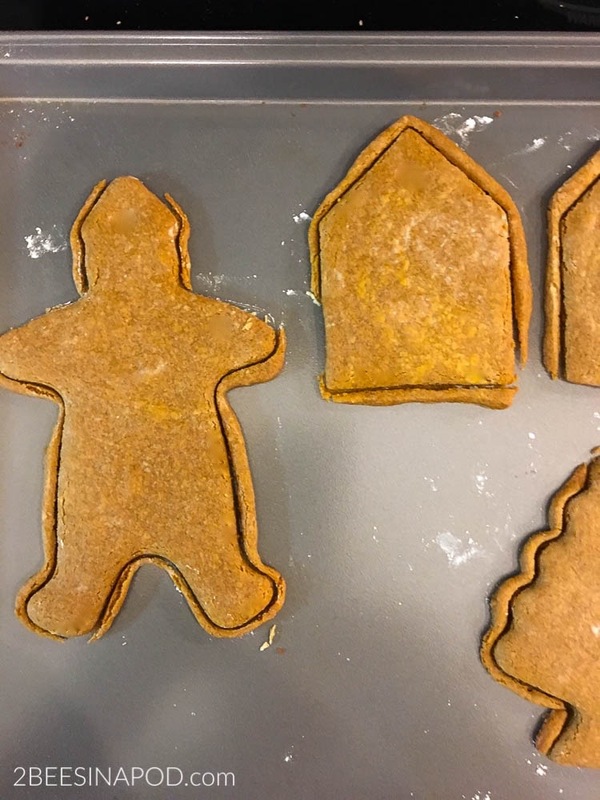 When I was a little girl I made cutout gingerbread cookies with my grandmother. The recipe had 13 ingredients that had to be kneaded, smoothed and rolled together. Next, it had to be refrigerated for an hour and then rolled out again before we could begin using our cookie cutters. Plus you could not bake this recipe on a humid day because the cookies would turn out extremely hard. Well living in Florida you can imagine how many non-humid days there were, even in December. With the mix all I had to add was 1 stick of butter, 1 TBS of water and 1 egg. After mixing it all together there was no waiting time in between to begin cutting out the cookies. 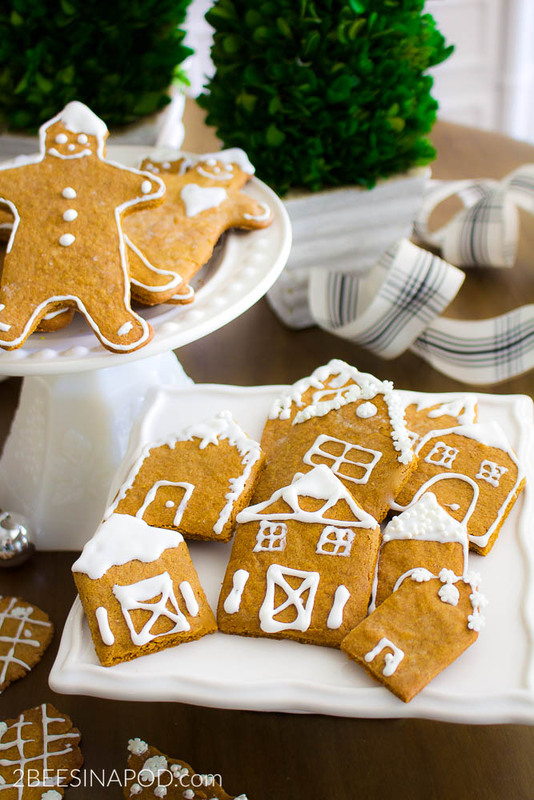 Making gingerbread cutout cookies has never tastier or easier. 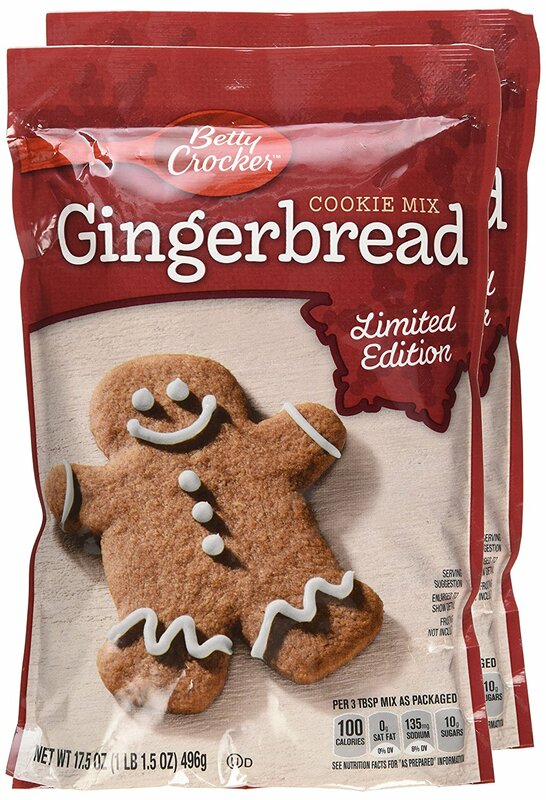 Start by using Betty Crocker's Limited Edition Gingerbread Cookie Mix. Mix all of the ingredients together in a bowl. On a lightly floured surface, roll out the dough to a 1/4 inch thickness. 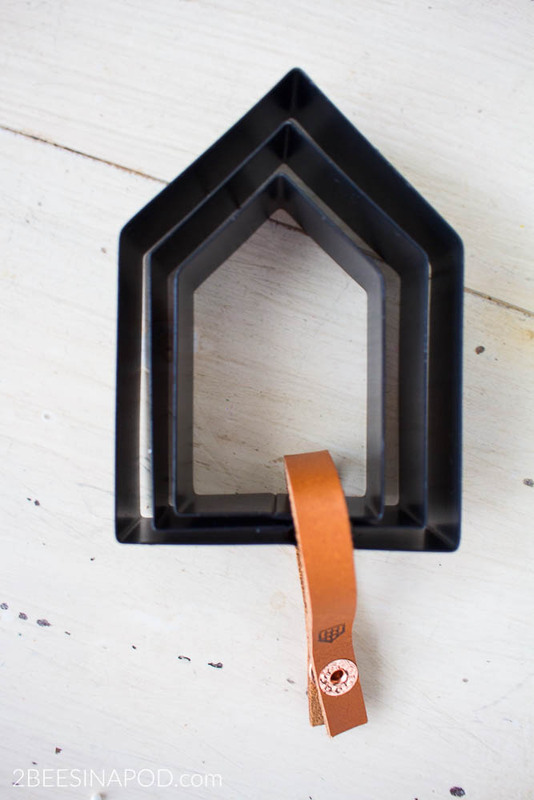 Using your favorite cookie cutters, begin cutting out shapes. 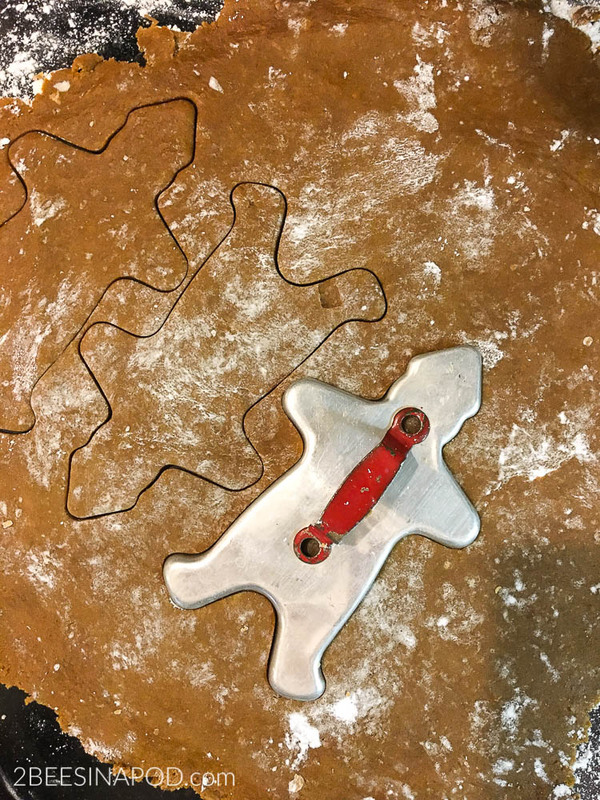 Place cutouts on cookie sheets being sure that dough does not touch each other, or the sides of the pan. Bake 10-12 minutes, just until edges of cookies begin to harden. Cool for 2 minutes before removing from cookie sheet. Cool completely before icing and decorating. 2 Minutes before cookies are done baking, remove from the oven. 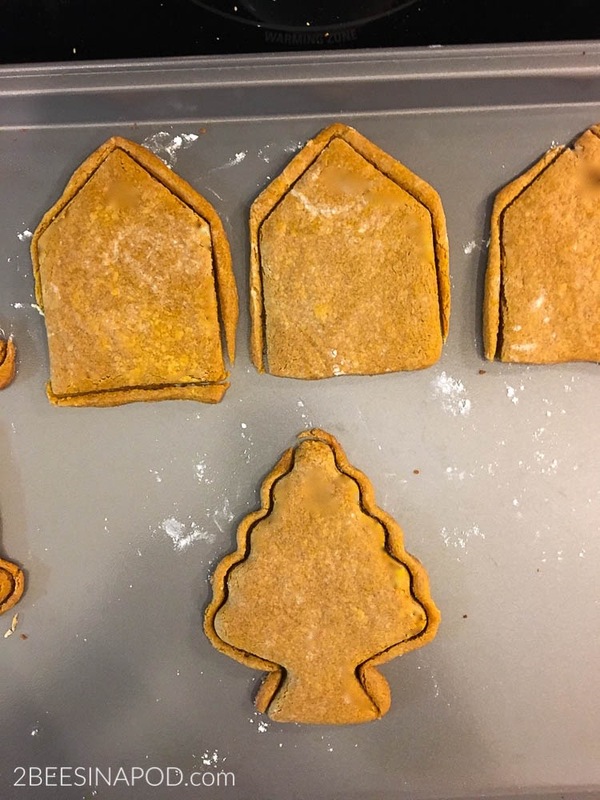 Use the cookie cutter and cut the cookie again for a clean crisp shape. 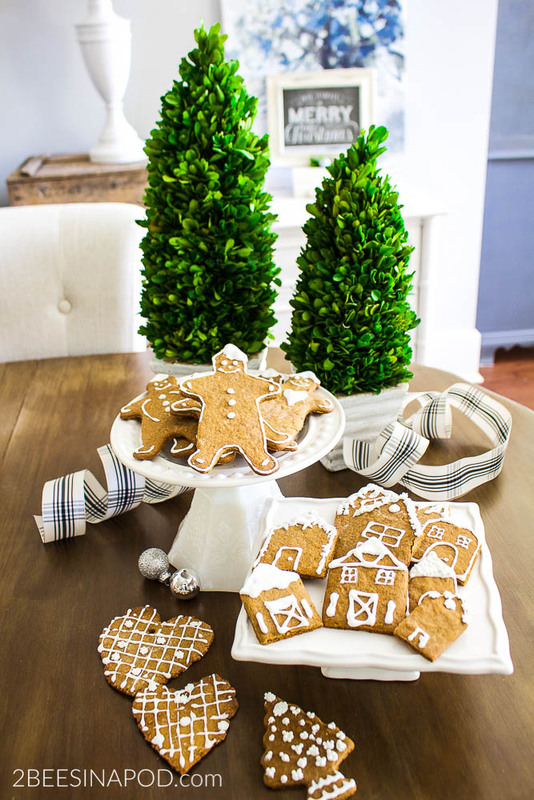 Because even though these cookies are soft and chewy, they are strong enough to be ornaments on the tree.They even make cute gift tags. 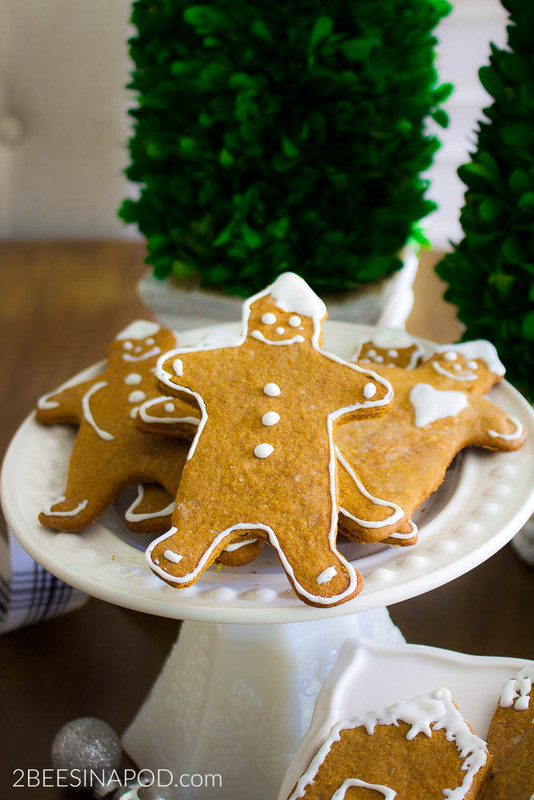 Two minutes before the cookies are fully baked, pull them out of the oven and quickly use the cookie cutter to re-cut the cookies. Sometimes they lose their shape during the baking process. This way they have a clean crisp look and you can feed your family the delicious crispy edges. 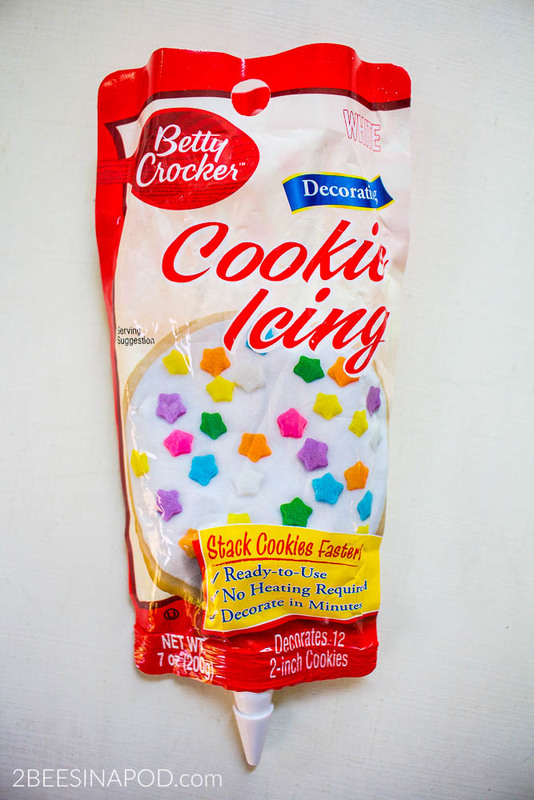 This bag of cookie icing was only $1.00! Needless to say I am not a cookie artist and I put forth my best effort decorating the gingerbread cookies. 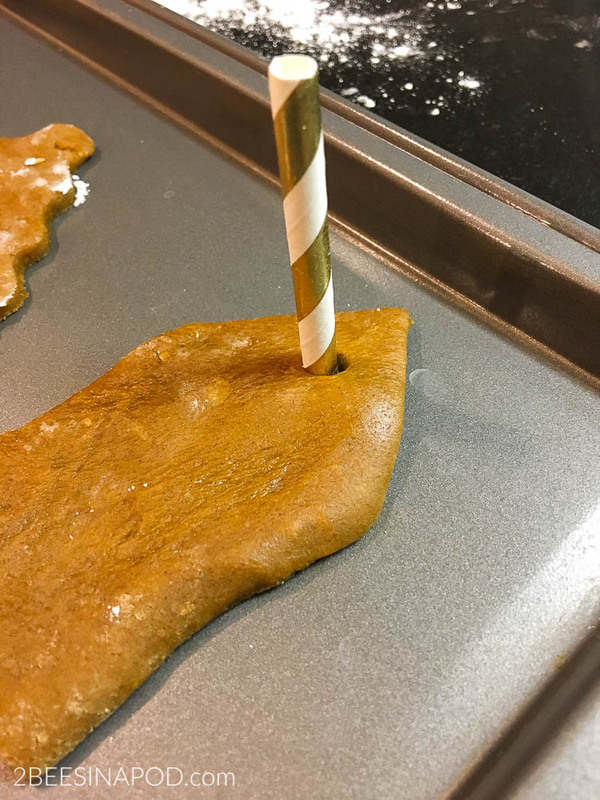 This icing set and dried very quickly. 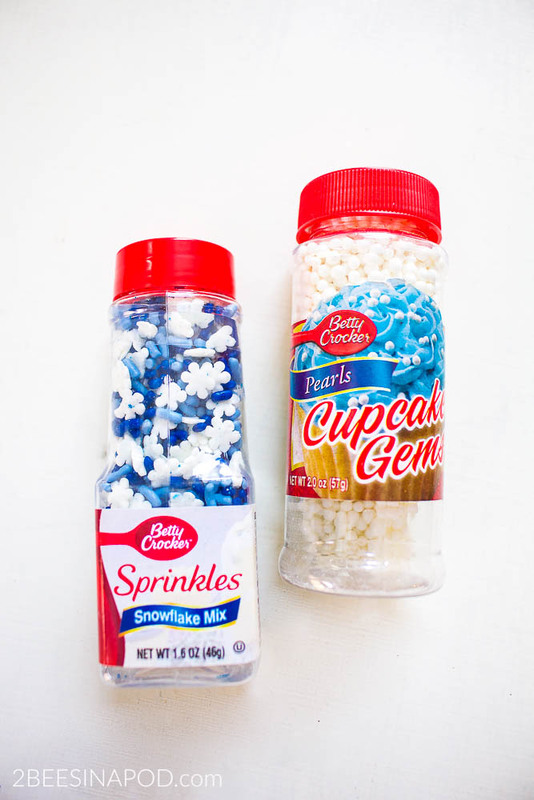 I embellished with these sprinkles. Honey Bee has the sweetest tooth that I know of. He has always been appreciative of my baking and cooking. We both agreed that had we not known that these cookies came from a mix, we never would have known. This was so much easier than gathering and mixing 13 ingredients, including molasses, and having it take all day long. Look at how cute they turned out! In the past I have always felt like I have had to make everything from scratch or it just wasn’t right. 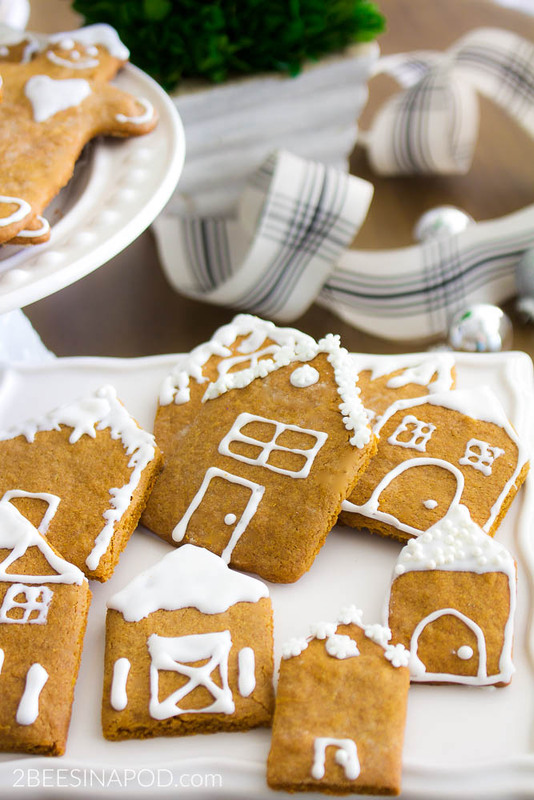 Well not anymore, or at least in the case for the gingerbread cookies. So much love and effort goes into the cutout and decorating. And remember to come back Friday to see how I package these for gift giving! So, what do you think? Are you applauding or judging LOL.